The DATAFLEX® torque measuring shafts sizes 22 to 140 measure the torques without contact and free from wear. Their secret is a patented measuring method acquiring the twisting of the torsion shaft by measuring the quantity of light. For that purpose the light is directed through two disks the transparency of which is amended proportionally to the torque. The overall electronics are located in a stationary housing. No signals have to be transmitted by the rotating shaft and the torque is measured continuously with a high band width of 16 kHz. Highly dynamic processes can be analysed accurately. The analog output values are available both as a voltage signal from 0 – 10 V and as well as a current signal from 4 – 20 mA. In addition a speed counter is integrated providing a pulse signal at a resolution of 60 pulses per revolution. KTR Couplings India Private Limited are able to give the best solution to any problems in Power Transmission Equipment with the most cost effective solution. We do not only deliver standard couplings or solutions. To meet your required technical specification, we can design a new coupling by modifying stock parts or produce prototypes for bespoke situations. 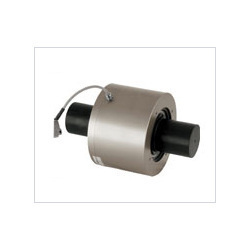 Our product range includes Industrial Couplings, Elastic Flange Couplings, Torsionally Flexible Couplings, Steel Lamina Couplings, Brake Systems, Torque Limiters, Clamping Sets, Measuring Torque, Hydraulic Components, Clamping Nuts, Precision Joints, Gear Coupling. With over 40 years of experience we believe we can produce a solution to any situation. KTR Couplings is able to provide a manufacturing base for customers steel tank requirements, either standard off the shelf or bespoke tanks to customer’s individual designs. KTR India was founded in Pune City, India on 16 September 1998 and is an ISO 9001:2008 Certified Company, Our 1800 square mt. office and warehousing facility employs a team of over fifty power transmission experts. KTR’s strategic location and product mix enables us to effectively supply and service in center place of India Our components are used all over the world.